An escape to Lomani is about disappearing from the hustle and bustle of the “real world” for an experience that says “adults only resort Fiji”. 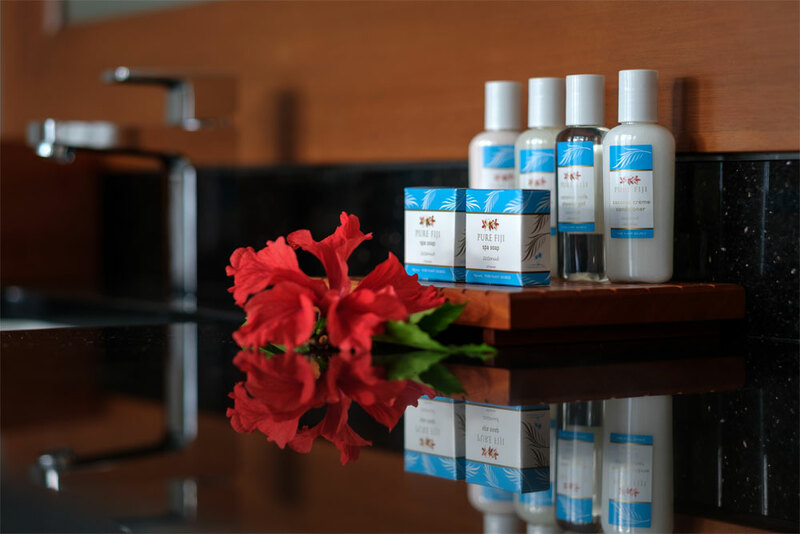 It’s a chance to be immersed with your loved one for a refreshing Fijian experience in an intimate resort. Lomani delivers a dream and makes it a reality. 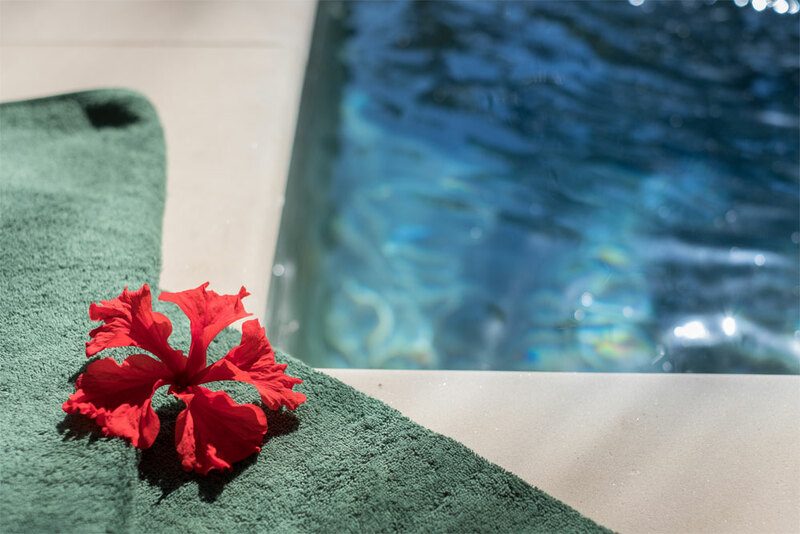 Our stylish selection of Deluxe Suites, Hibiscus Suites, Beachfront Bures and Beachfront Pool Bures provide the foundation for memorable holiday with that someone special. Throw in the fact Lomani only has 30 available with either ocean views or a beachfront and it’s obvious our accommodation is all about providing the right aesthetics, the right kind of uncrowded and intimate experience. All bookings include complimentary American breakfast daily and a wash and fold service. Our Beachfront Pool Bures are the leading accommodation option for adults only Fiji resorts and are only footsteps away from a pristine white sandy beach that fronts Lomani. The luxurious bures are 65 square metres in size and boast a private plunge pool, day bed, custom made mahogany wood furnishings, private courtyard-style outdoor showers, and large sundecks overlooking Malolo Lailai bay. The double glass sliding doors that lead out onto the private decks perfectly frame the breathtaking views. These brand new rooms are affordable luxury at its finest. Beachfront Bures are in hot demand at our adults only Fiji resort and only footsteps away from a pristine white sandy beach that fronts Lomani. 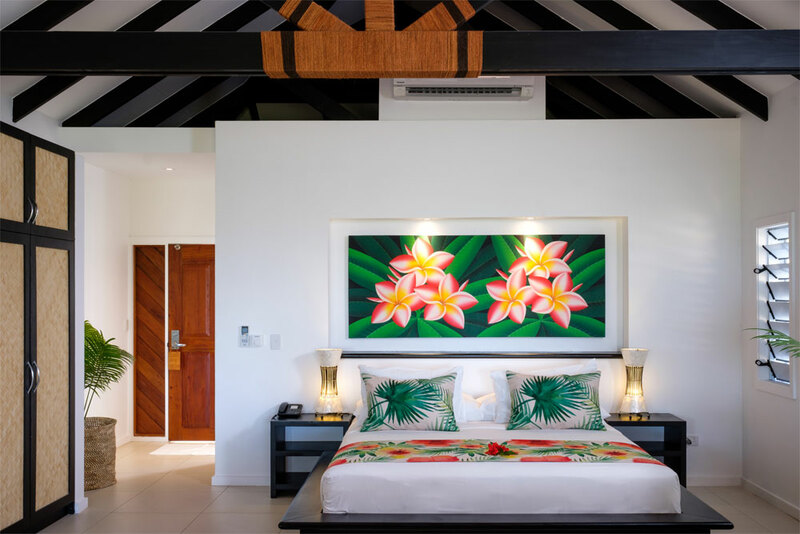 The luxurious bures are 65 square metres in size and boast custom made mahogany wood furnishings, private courtyard-style outdoor showers, and large sundecks overlooking Malolo Lailai bay. The double glass sliding doors that lead out onto the private decks perfectly frame the breathtaking views. It’s easy to understand why Lomani’s beachfront bures have many repeat visits by our regular lovebird guests. 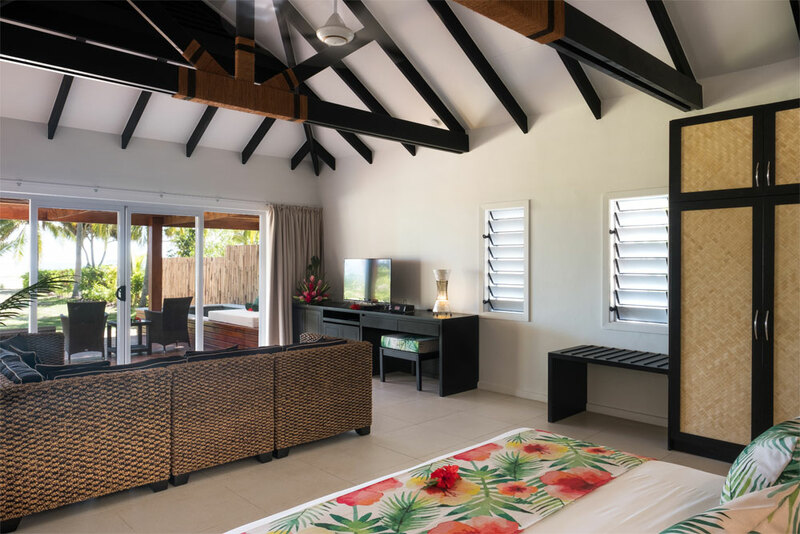 The two Hibiscus Suites at Lomani are spacious, single storey duplex suites representing comfort with a capital C. Each suite has an open plan lounge and bedroom area with four-poster California King sized beds and overlook the expansive views of the Pacific Ocean. 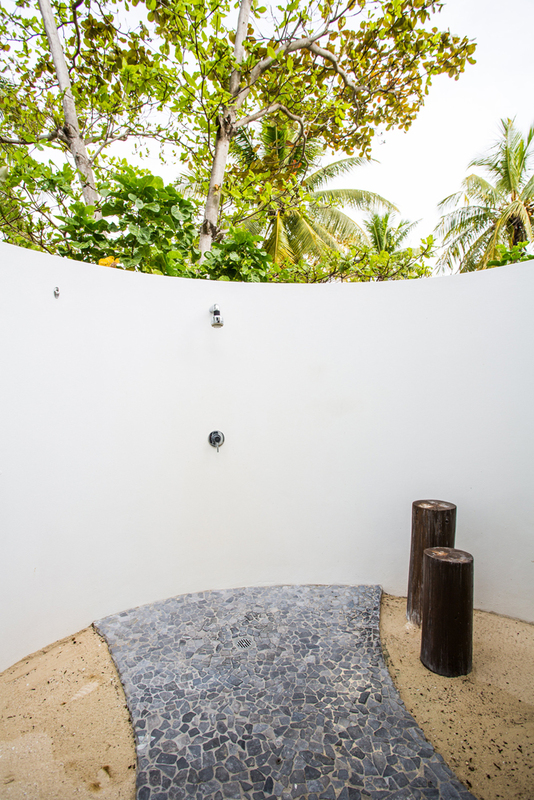 The Hibiscus Suites also feature private outdoor showers (in addition to private indoor showers) and private sun decks – little extras helping Lomani rise to the top when it comes to an adults only Fiji resort experience. 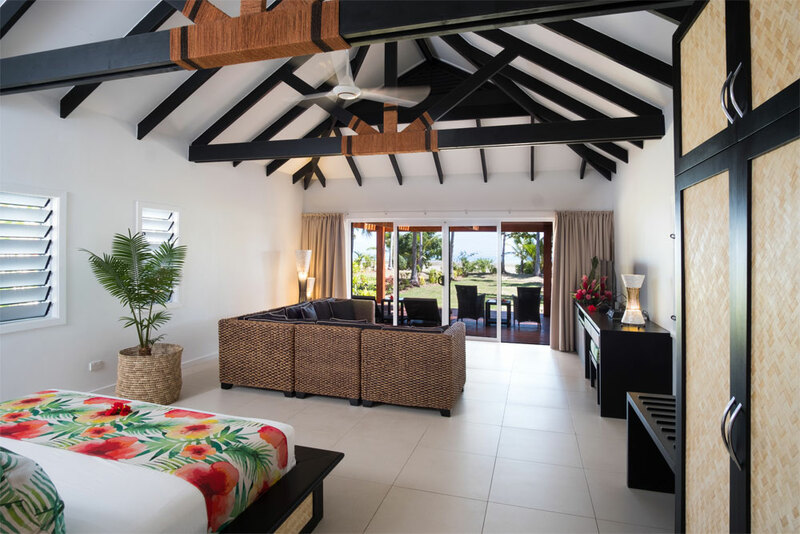 Sometimes size matters, and Lomani Island Resort’s 8 Deluxe Suites are a calling card for couples to stay in this stylish double storey building. All suites offer majestic views of the bay. Each lodging is a bright and spacious 70 square metres and comprise separate bedroom areas with a four poster King sized bed in addition to a large living room and a private patio or balcony. This one’s a honeymooner’s delight! 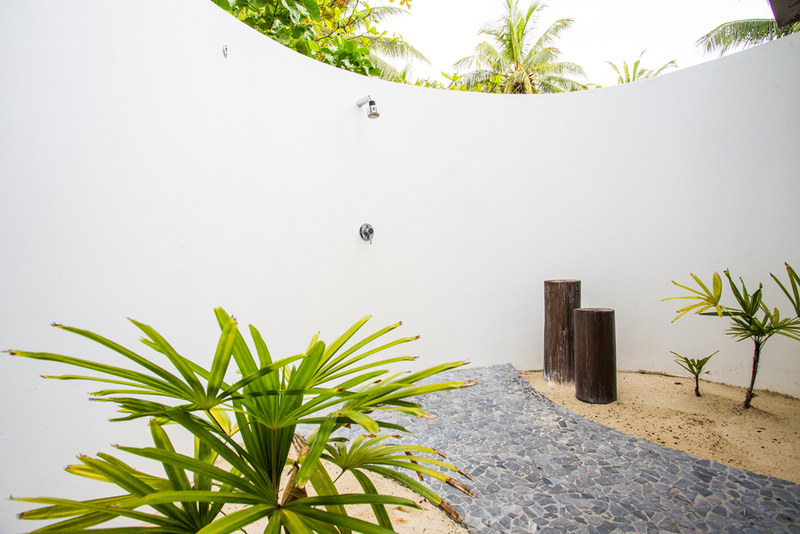 Lomani Island Resort offers complimentary Wifi to all in-house guests.